Today for #SundaySupper our mission is to create a “I got you covered dish”. What does that mean? Well for example if you are vegan or dairy free or you have no clue what to do with canned coconut, I got you covered! Matter in fact, I even got you covered as a topping! Oh ya! So for my recipe I made vegan, gluten-free and dairy-free whip cream. Not only is this whip cream good for those with special diets, it’s good for everyone. Now that my friends is a win win!! My whip cream is made from canned coconut, the full fat stuff! Oh boy do I love it! When you refrigerate it for 24 hours it turns super duper thick. For the canned whip cream I used good old Trader Joe’s. You just have to love TJ’s! Gosh, now that I am thinking of them, I have to go there today! Just look how thick it is. Oh my gosh! Ok, spoon licking is allowed! After all you do need to test it to see if it has the right amount of sugar for you!! he he You know I am right! This recipe made about two cups. Actually maybe more? I didn’t want to pat it down when I was measuring it. So I am saying two cups. Somethings are just hard to measure. 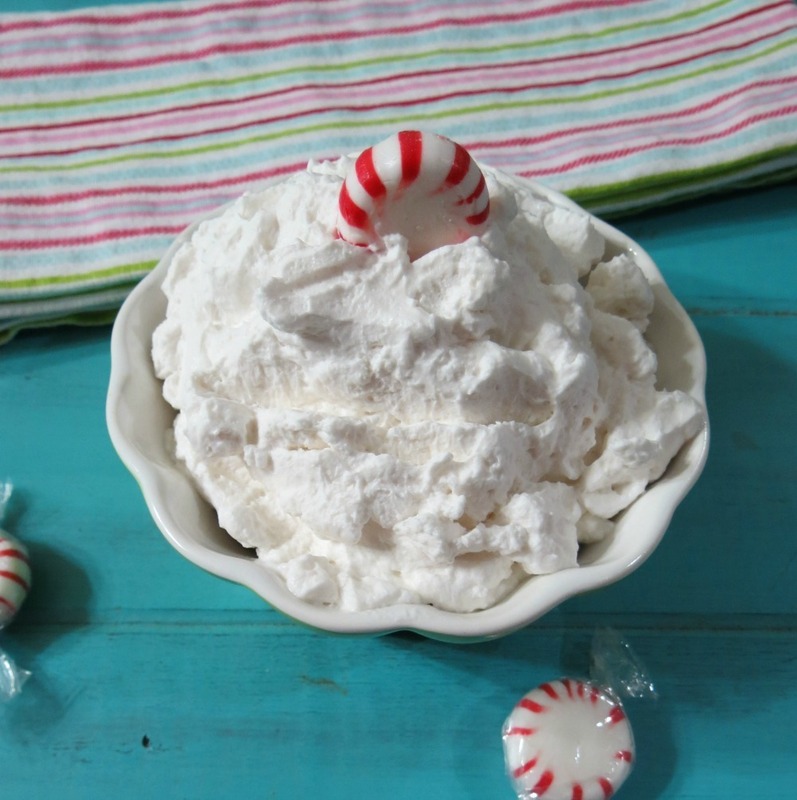 The whip cream is so light and has the perfect amount of peppermint to it. Don’t go crazy on peppermint extract, it’s pretty strong stuff. I do have to tell you, that you do get a taste of coconut, so if you’re not a fan of coconut, this whip cream is not for you. I don’t overly care for a lot of sugar in my whip cream so I went light on the powdered sugar. You can always use more. I also like powdered sugar in this recipe because it blends nicely with the cream. I didn’t want it to be grainy so I skipped granulated sugar and stevia. Though I am sure stevia drops would work great! 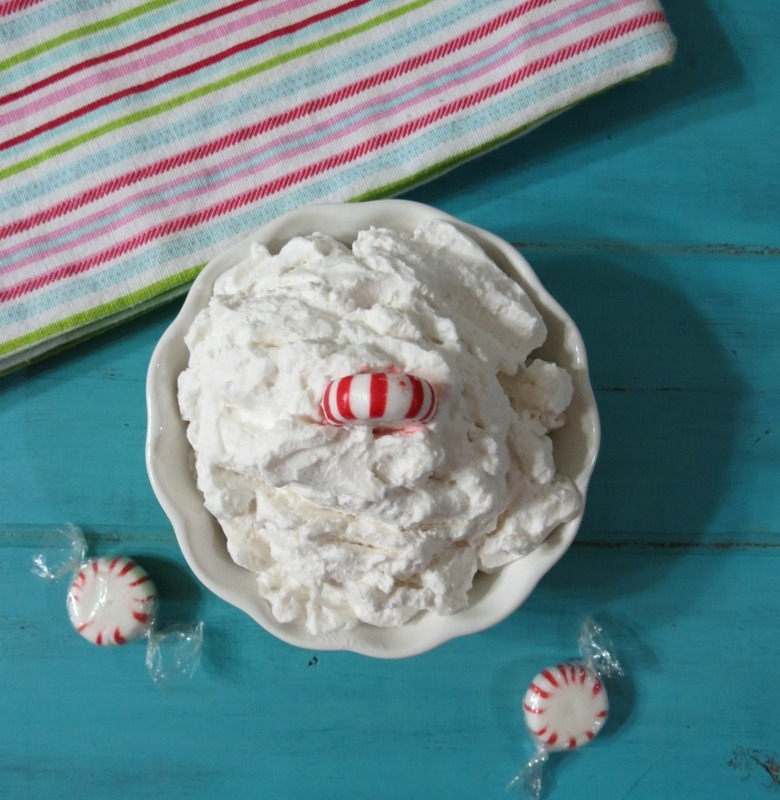 So what do you use peppermint whip cream for? Lots of things! Like topping on a peppermint mocha frappe, hot chocolate and it goes great swirled in coffee. But my favorite way to have it is on top of peppermint ice cream. Yah, baby yah! That is what I am talking about! 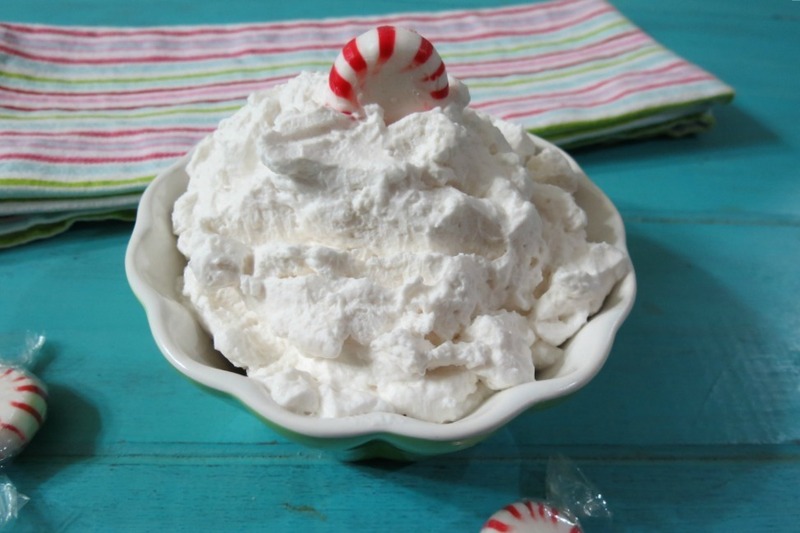 A healthy, all natural, vegan whip cream that is light, fluffy and flavored with peppermint and made with coconut milk. Place the coconut cream or canned coconut milk in the coldest part of the refrigerator for 24 hours. Do not open or shake the can. Don't touch it! 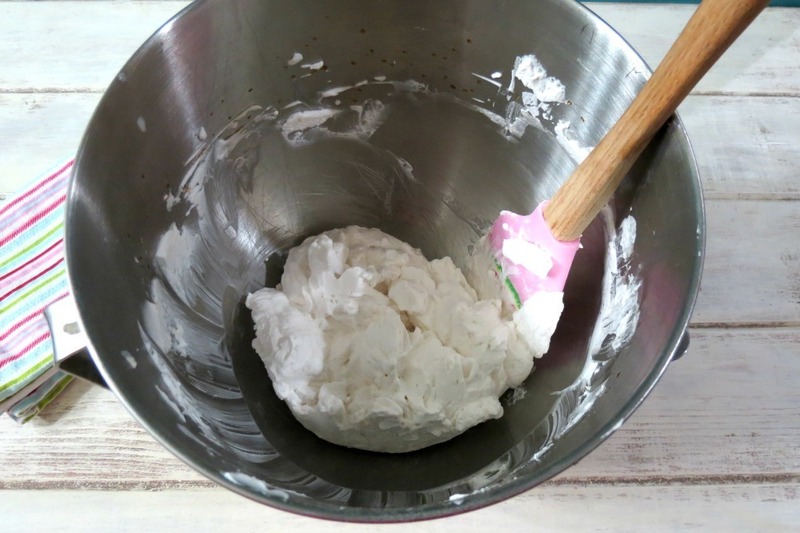 Carefully spoon out the coconut cream and place in a large bowl; beat on high speed until light and fluffy; about 5 minutes. You may have to scrap down the sides of the bowl a few times. ( NOTE: do not use the liquid coconut milk, you just want the solids from the can. You should have about a ¼ cup of liquid coconut milk left over. Discard it or use for another purpose.) Beat in vanilla extract, peppermint extract and sugar, about 2 more minutes. Taste to see if you need more sugar. Store in an airtight container in the refrigerator. If it harden up a bit you can re-whip it. It should last at least a week or more. Top on ice cream, smoothies, coffee, cupcakes, muffins and more. I love this whip cream! I always keep a spare can of coconut cream in the refrigerator for when I want to make some whip cream to top all over everything. Yah, you can guess it I am kind of whip cream type of girl. I can’t help it, it’s so good!! Plus it’s really fun to make. Just remember the key is NOT to touch the coconut milk once you put it in the fridge. Otherwise it doesn’t solidify and trust me that has happened to me a couple of times! This is such a fun mission we have today! I knew right off the bat what I was going to make. I can’t wait to see what others have got you covered with!! 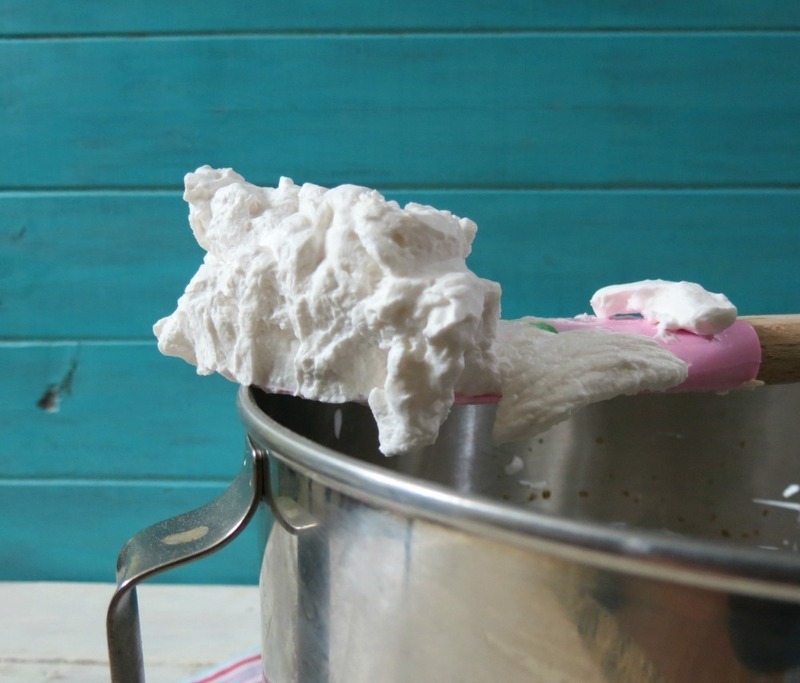 This is so cool – I have never heard of making whipped cream with coconut milk! And peppermint, yes please! It’s so fun and easy to make! I love to make this! I always keep a can of coconut milk on hand for when I have the need for whip cream. Such a great recipe! I had no idea coconut cream would do that. This on peppermint coffee? Yes please! It is soooooooooo good on peppermint coffee. It really gives the coffee a nice smooth creamy flavor. Yum! 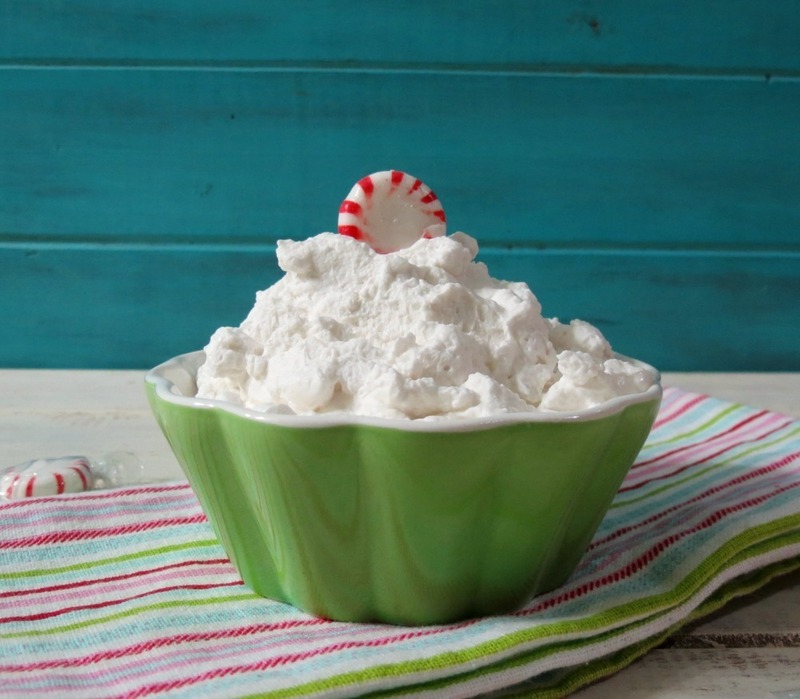 Peppermint anything is awesome at this time of year, but a guilt-free frosting is the best yet! Thanks Katy! I love peppermint anything and everything!! It’s my favorite winter flavor. You’re so smart Jennifer, what a great idea! I love coconut and peppermint. Thank you Chris! I love the combination too! It’s very light! I see you have been to Trader Joe’s again 😉 What a great idea, I haven’t tried this but want to. 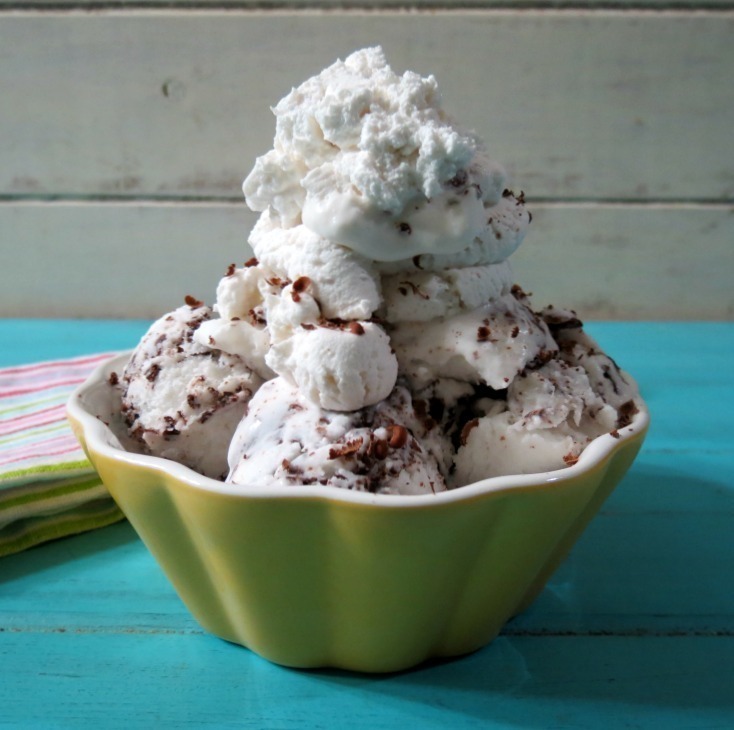 Great recipe for anyone needing to be dairy free!! I think I live at TJ’s! My Friend works there and told me I should apply to work in the demo area. I wish I could! Thank you for the early Christmas gift, Jennifer! I’ve used TJ’s coconut cream in vegan ice cream. 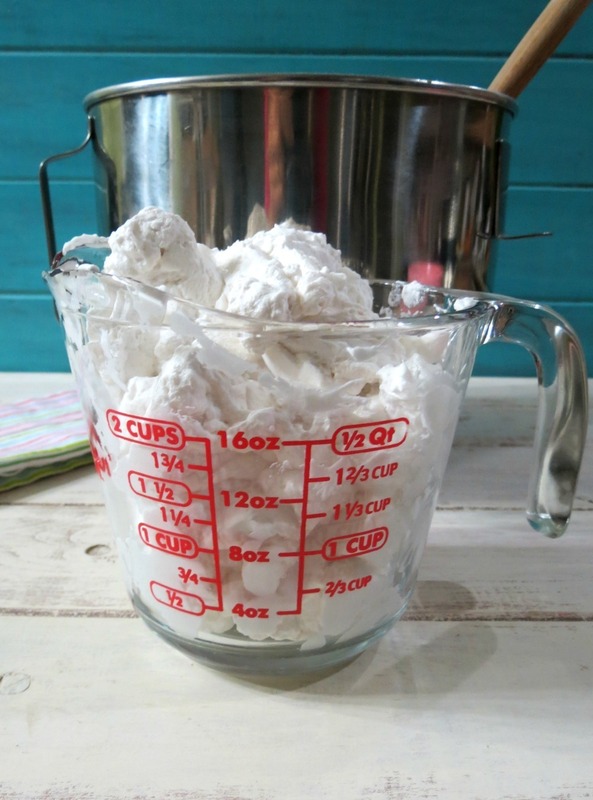 And now I’ve got the how-to on making it into whipped cream! Ohhh I bet TJ’s Coconut Cream would be amazing in ice cream!! Do you have that recipe on your blog? I have to check it out! Your whipped cream would have been perfect on my chocolate pie! So festive and delicious!!! Oh my gosh, your chocolate pie looks so incredible!!! I think your pie is perfect the way it is!! WHAT?!??!! Who knew! I’ll have to try this, and I do like coconut, so a hint of it wouldn’t bother me one bit. It’s so much fun to make too! You should give it a try!! This whipped cream looks so good! Being kind of dairy intolerant, I absolutely LOVE coconut whipped cream. Though I’ve shed many tears over cream (from the top of the canned coconut milk) that refused to whip for me. But I managed to do it right a few times, and those times were awesome. Maybe if I bought straight coconut cream like this, my chances of whipping would be more successful? I think so, anyway. Your whipped cream looks awesome. I could eat an entire bowl of it on its own, I think. I have had that happen to me too! It’s so disappointing when it does. I found when I stick it to the far back of the fridge, it hardens up the best!! I know this has worked with the Thai brand full fat coconut milk. This sounds delish! I LOVE coconut milk and coconut cream! Soooooo good! Must try! Oh Sophia, then you will love this!! You should give it a try! What a great recipe for the holidays! Ooooh yum!! 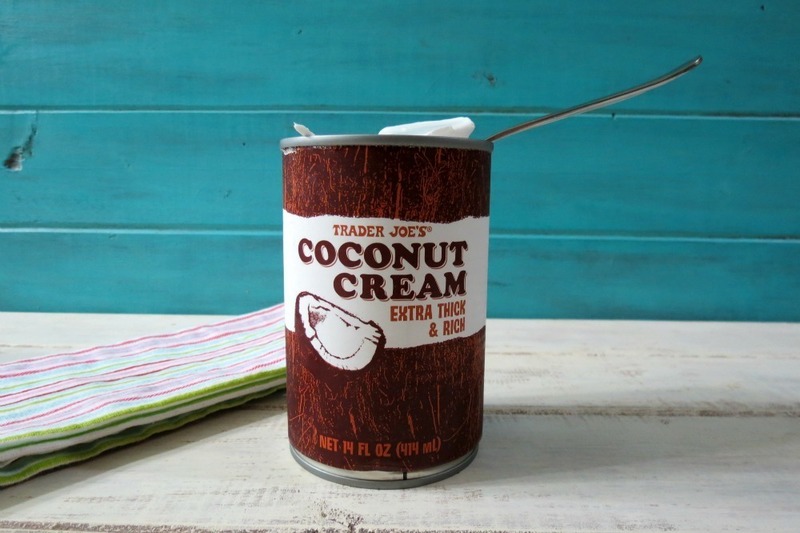 I haven’t seen that coconut cream at TJs, I need to look for it! I had no idea you could whip coconut cream, Jennifer! You are so smart and I think I could just eat this with a spoon. Never mind putting it on anything! I may be a little short of finishing up with 2 cups of this because I have a feeling there will be a lot of “quality control” in the process. Oh yummy. I do not have a Trader Joe’s. T-T But I do have a lot of grocery stores, and I’ll have to find some coconut cream to try this. Wow, how creative and delicious does this look! How cool! I’ve been wanting to try coconut milk whipped cream for ages and just haven’t gotten around to it! It looks soooo yummy! I never thought to put coconut and peppermint together, Jen. Sounds interesting. I keep seeing coconut whipped cream more and more and I want to try it! I made a Kahlua WC for Thanksgiving and it was great! Ohhhhhh Kahula Whip Cream sounds amazing! I am soooooo trying that!!! Thank you Sarah! You should make it, it’s so easy and so yummy!! It’s really good in coffee too!